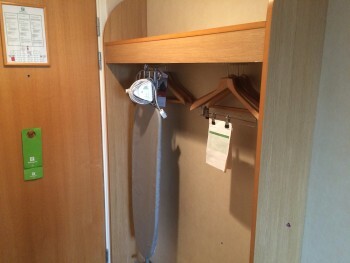 This is my review of the Holiday Inn Brent Cross hotel in London. 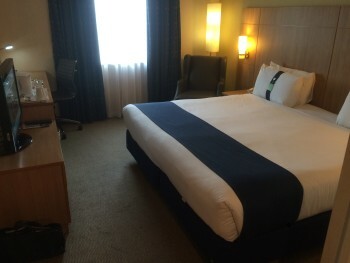 Just in case you were getting the impression from my recent Middle East trip report that my life is one long Krug-sipping vacation (instead of one which involves writing 21 articles and reading 700 emails per week ……), let me introduce you to the joy of the Holiday Inn Brent Cross. Being a night short of completing my IHG Accelerate target, I was looking for a London-based mattress run target. 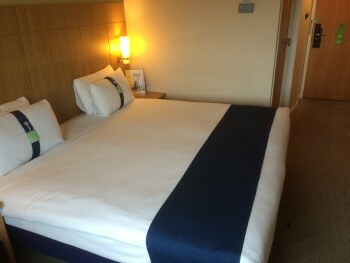 The recent IHG flash sale proved the perfect opportunity, with rooms at the Holiday Inn Brent Cross being offered for £49 for a Monday night in December. How could I refuse? 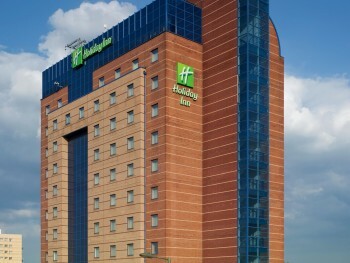 The Holiday Inn Brent Cross is directly across the road from the Brent Cross shopping centre. Unfortunately, the road is more like a super-highway which is why the hotel runs a shuttle bus to take you there! Because of its age, built at a time when these things were not seen as important, the shopping centre is not connected to Brent Cross underground station. You can see the hotel clearly as you pull into Brent Cross station but there is a mini Spaghetti Junction separating you from it. It is walkable. There are some interesting sights on the way, such as the local residents who have chosen to keep their fridges and old mattresses in their gardens. I wouldn’t say that the walk is dangerous, since there are footpaths in place, but I wouldn’t feel happy doing it at night because you could easily be hit by a driver who couldn’t see you. It also isn’t a walk you want to do with luggage. Luckily, there is a minicab office outside the station. The hotel will also pick you up for free in their on-demand shuttle bus. Joking aside, the welcome I got at the hotel was the warmest and most cheerful I have received at a hotel all year. The guy on the front desk seemed genuinely pleased to see me. Filled with the Christmas spirit, he gave me a free Jacobs Orange Club biscuit and let me have both welcome amenities (eg 500 IHG Rewards Club points and a free drink and snack from the bar). All in all, to round off this review, I would say that the Holiday Inn Brent Cross is a perfectly acceptable place to spend the night. 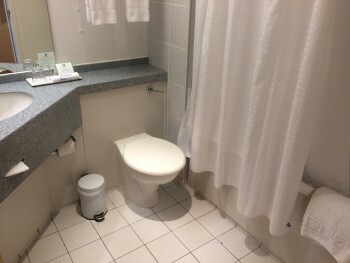 It is one of the cheaper IHG properties in London and, if you are driving from the north, it is easy to find and has plenty of – chargeable – parking. The on-demand shuttle bus will run you to and from the underground (Northern Line) and the shopping centre so you won’t have any problems getting around. What I do NOT recommend is redeeming IHG Rewards Club points here. For 30,000 points per night, there are many better options in Central London. You’d be crazy to stay here when, for example, the Holiday Inn Mayfair is just 35,000 points per night or the Indigo Earls Court is an identical 30,000 points. You can find out more, and book the hotel for cash or points, on ihg.com here. Given there’s no comment about breakfast, unless he’s saving that for another review I suspect Rob ate the club biscuit, enjoyed a free drink at the bar and hot footed it back to the tube station…. It would be a bit stupid booking a cheap hotel in Brent Cross and taking a taxi! I could have booked a cheaper hotel walkable from my house if I was planning that! Don’t be so facetious. Rob wouldn’t do this. We all know Rob only does ultra short-haul journeys in his helicopter, as it’s the only comfortable way to fit all that caviar and champagne nearby, as well as all those £50 notes he burns to keep warm. Admittedly not the safest way to travel, but to each their own. 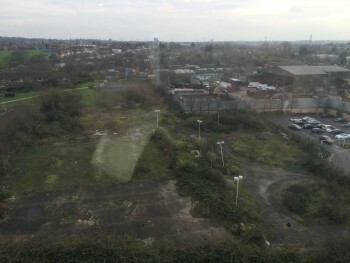 “chargeable – parking” Judging by the view from your window, seems there is plenty of free parking out the back…just so long as you can find a way into that waste ground come deserted car park. Parking in Brent Cross opposite is free… just not sure if they close it overnight? There would be street parking a little way off the A5 towards town from there. You’d have to be prepared to walk the distance back. I too read this when I was at the Holiday Inn Express in Knowsley, and thought exactly the same thing! The only difference is that my room had a shower instead of a bath. Indeed, looks like a cookie cutter HIX layout, identical to stays I had in HIX Birmingham Snow Hill and London Docklands! In fairness to HIX Glasgow (my folks stayed there for their 2nd Accelerate stay to get a free night), they got a superb welcome and thought the staff were great, so IHG seem to be doing something right with their front of house staff training in the UK at least! weird blue lights is a standard feature of HiX in my experience! If I remember correctly it started life off as a holiday inn express when it first opened…. It started its life as a Holiday Inn Garden Court. I know – I was a member of the opening team and was there during the opening ceremony in the early 90th. The HI Sarajevo circa 1995 might have been a nicer mattress run! The white goods and bedding on show are Britians contributions to the al-fresco living movement. An opportunity to says thank you for alerting us to the joy that is the Corinthia. Spent Christmas 2014 at the Bellagio. Spent this one caring for a disabled relative in North London. The Corinthia was Boxing day lunch – never would have thought of it without your post. We too took advantage of the opportunity to meet our accelerate citeria by much bed hopping around the Holiday Inns of North London and Brent Cross was Boxing day night. So we arrived to book in on our way back from said lunch at the Corinthia, travelling by converted taxi. The welcome was everything you said. We returned much laterby bus – in fact by bus pass!- leaving the car at our relative’s accommodation having consumed much LP (nonvintage) at lunch . The trip over the road bridge was quite welcome and the view from our window (by no means an essential) was of TK Maxx which if you can’t have the Bellagio fountains just shows that you get what you pay for. On this occasion, perfectly adequate. Glad you enjoyed the Corinthia, it is a fantastic hotel. I am hoping to do a bit more with them this year. How long do the challenges for the Accelerate offer take to show online? I will complete my Q1 offer by the end of Jan and would like to see the progress, and the points to post ASAP. previous accellerate free nights took about 3 weeks to post for me ! If one of your targets is booking a night with a IHG Rewards Premium Visa expect it to take a long, long time. I am still chasing them up for a stay 11 weeks ago for the 2015 Accelerate promotion. I was the same with mine, eventually I was credited with the points manually, rather than them showing on my Accelerate page. I am a relative newcomer, but have not been offered this on my recent stays. Is it relative to what you paid? My last stay was a sale price. If you have status, you get this in the UK and Europe. Got it last night in a Crowne Plaza actually. I am a basic member of IHG Rewards club and only get recognition at a Hi Express. In fact their over-excitedness seems to make up for the Crowne Plaza indifference! Writing this from the HI Express Dublin which was closed over Christmas for refreshing- I got moved into the Crowne Plaza last week and had breakfast with a lot of Ethiopian airlines crew, I realised that one of their US services overnights in Dublin. Anyway the HI Express Dublin would probably seem familiar to the Queen, smelling of wet paint, and has what looks like brand new US / European plug sockets – but no USB socket sadly. This maybe off the topic. Would the accelerate + bonus points count towards the elite status?